Hey hey friends and happy Monday! Is everyone recovered from watching that crazy Super Bowl last night? Holy smokes that was a wild game. We had so much fun watching it, but I ate way too much. I’m definitely in a bit of a food hangover today–darn those delicious brownies. And the buffalo chicken dip. And the pizza. Yeah, I may have overdone it just a teensy bit. On the plus side it was all gluten free, but I know that doesn’t matter much when you’re going in for brownie number three. Oh well, life would be boring without a little splurging from time to time, right? I think so. 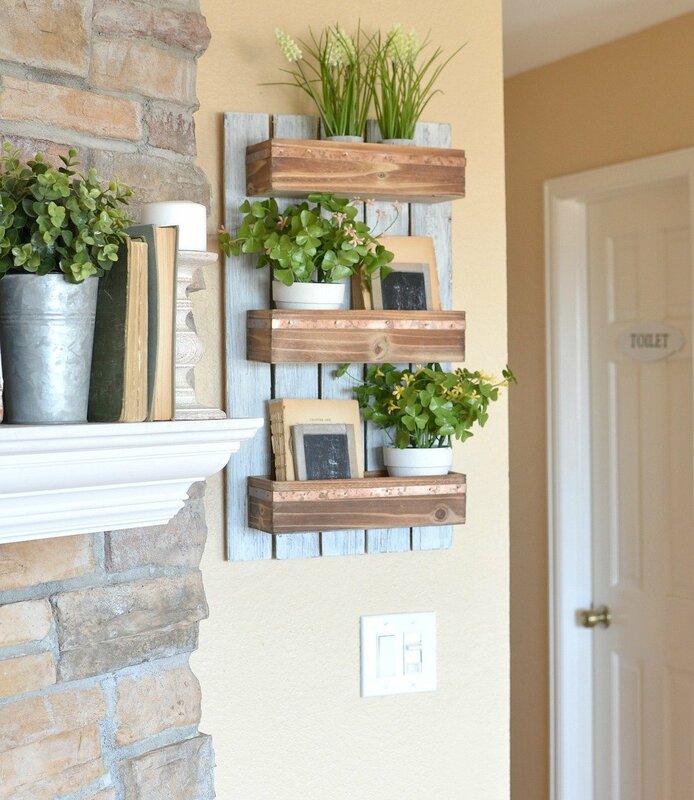 Anyway, do you guys remember in last week’s post of our living room I shared a little peek of that cute DIY wooden wall planter? It was over by the fireplace hanging on the wall. I’m actually kind of obsessed with it and today I’m excited to be sharing the easy tutorial for it. It was super simple to put together and I think it’s perfect for holding a few purdy springtime flowers and faux greenery. 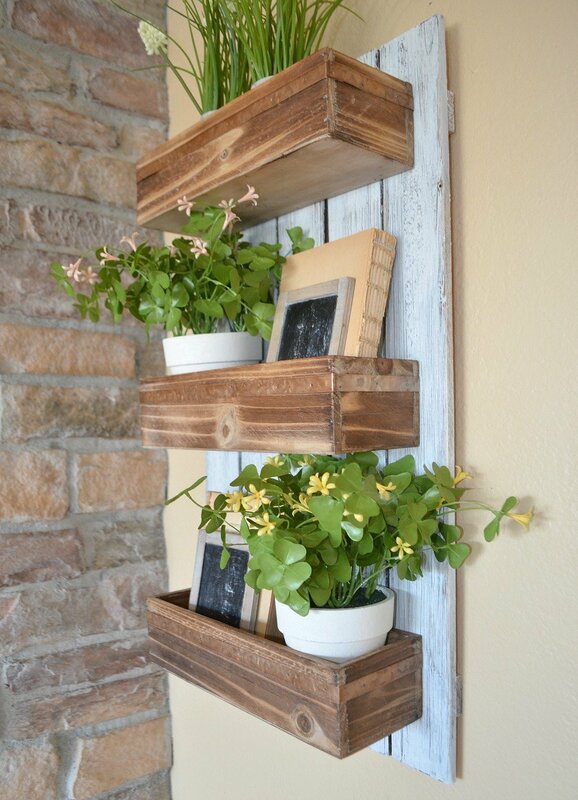 For for this project I used a pre-made wooden pallet–huge time saver! I found mine at Michael’s, but you can find these at just about any craft store. I’ve seen them at Hobby Lobby too. 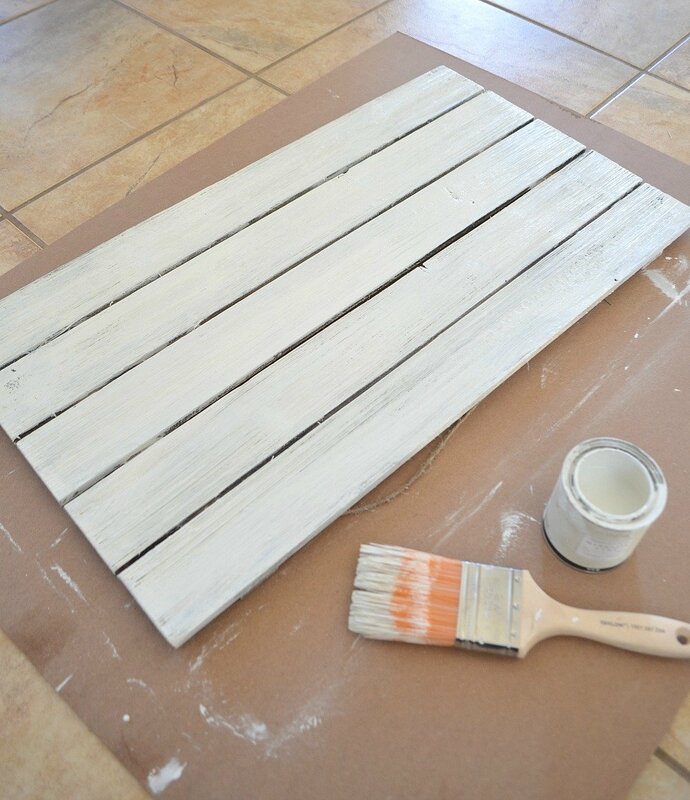 I used one of these pallets for my easy DIY Fall Sign last year, they’re just so handy. I usually try to grab a few when they’re on sale, so they’re super cheap too. 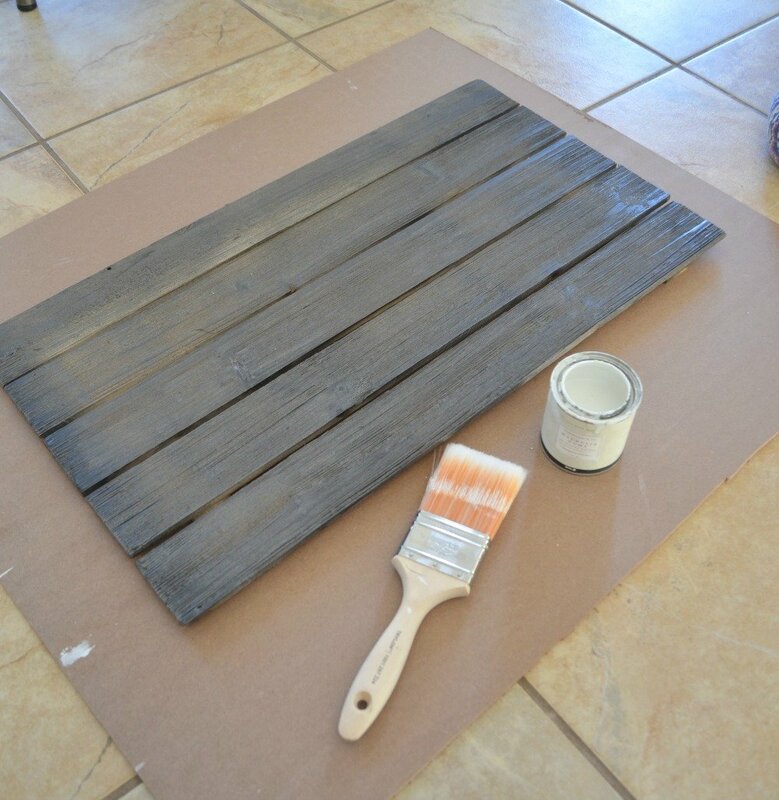 I wanted the pallet to have a rustic look, so I started off by spray painting it dark brown. Once that dried I painted it in One Horn White from the Magnolia Home paint line. Next up I sanded the whole thing down to distress it and give it that rustic look. Easy peasy stuff.. Once that was complete it was time to attach the boxes to the pallet. I found these wooden boxes at Michael’s and they fit perfectly on the pallet. 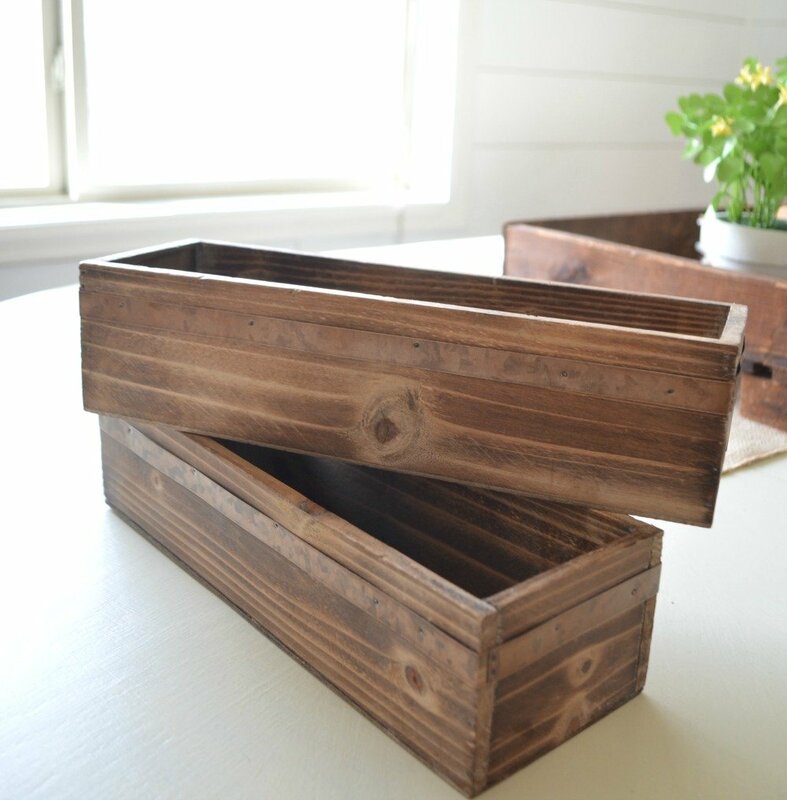 But you could use just about any small wooden box for this project. We found the best best way to attach the boxes to the pallet was by screwing them on from the back. It was a bit tricky to get the placement just right, but this was easier then screwing them on from the front side. And there she be, all done! 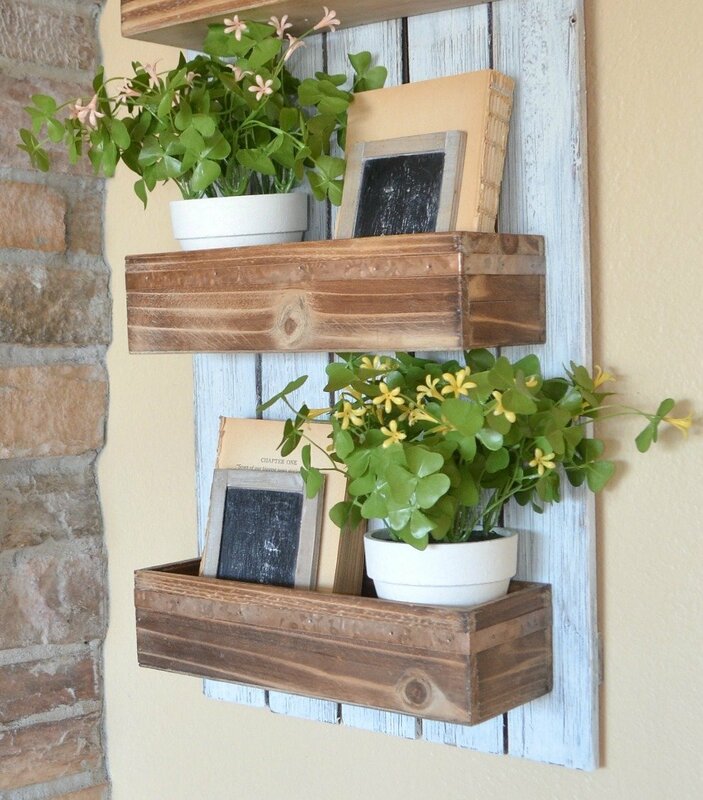 This is such a fun project and I think it’s perfect for spring. I love the pop of faux greenery and color to warm up this space and bring a little life to the room. And I’m looking forward to switching out the goodies in these boxes as the seasons change throughout the year. Well friends, I hope you enjoyed this post and give it a try. 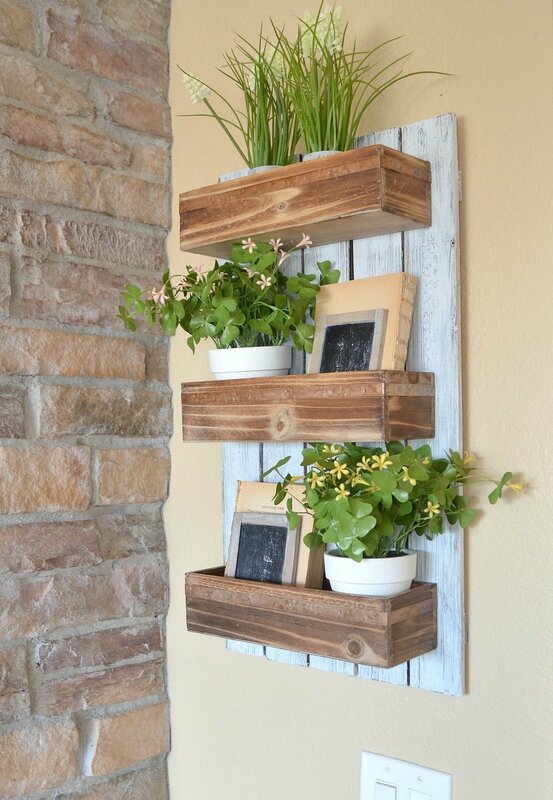 This was so easy to put together, especially using the pre-made wooden pallet. It’s a perfect afternoon project, which you know is my favorite kind of project! Love it and how perfect right there. Plus, I love love love how you accessorized it all. Faux greenery? Really? Where did you ever find such perfect ones? 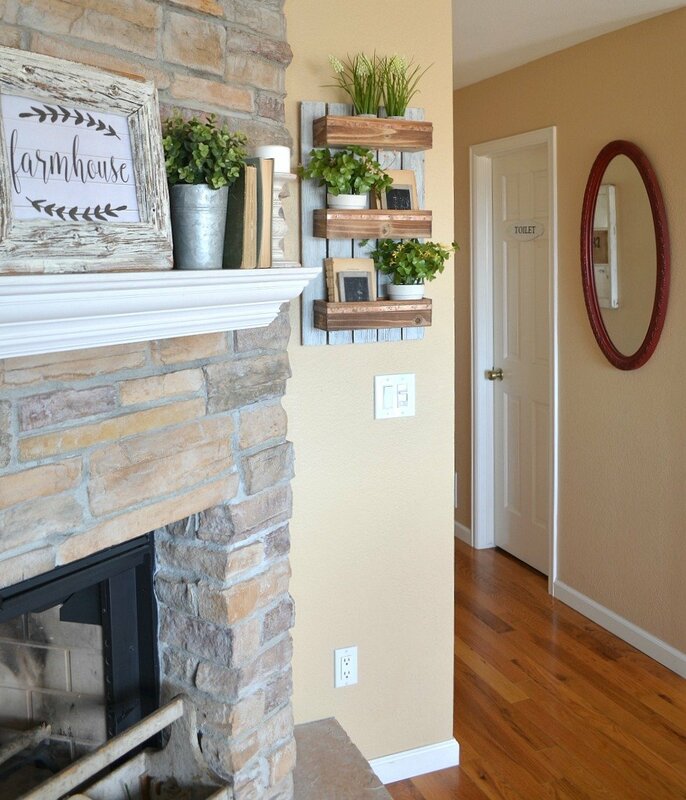 Love the mantel showing right there in the pics, too. Thank you Patty! All those flowers/greenery are from Michael’s. This is beautiful! I love this for spring! Terrific! 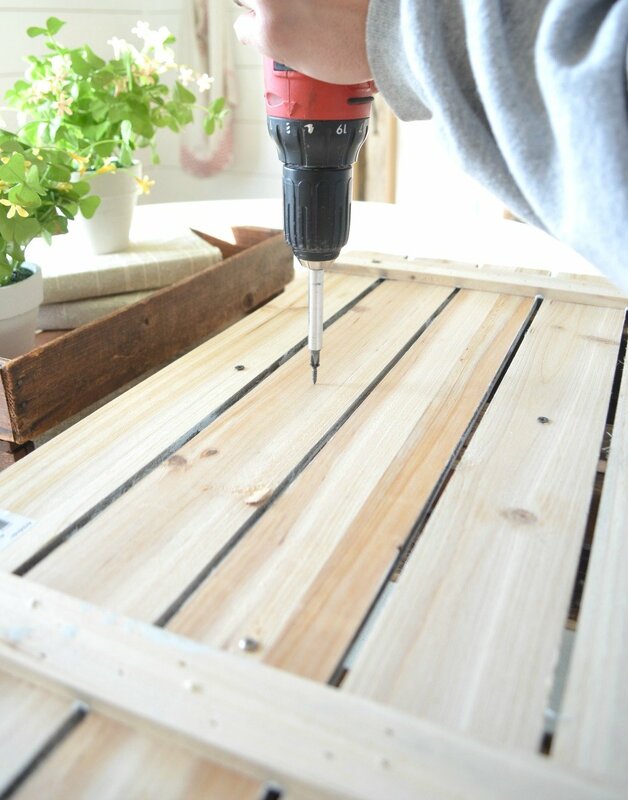 Love your easy DiY! Looks beautiful! ???????? So glad you like it Chelsea, it was so simple!! It turned out great! I’m thinking I need to make something like this for my finished basement which needs a serious update. Love all your ideas! Thanks Brenda, it’s super simple to put together. Definitely give it a try! Beautiful! Thank you for sharing. I’m heading to Michael’s tomorrow for supplies! Oh awesome, good luck! I hope you love it Teresa. Thanks so much for sharing! This looks easy enough for me to tackle….. I am very creative with my decorating but am not very good at DIY projects. You have inspired me! Love the faux greenery too! ???? Thanks Heather. Give it a try, it’s super simple! Love it. Thanks Sarah. Have a great Tuesday. 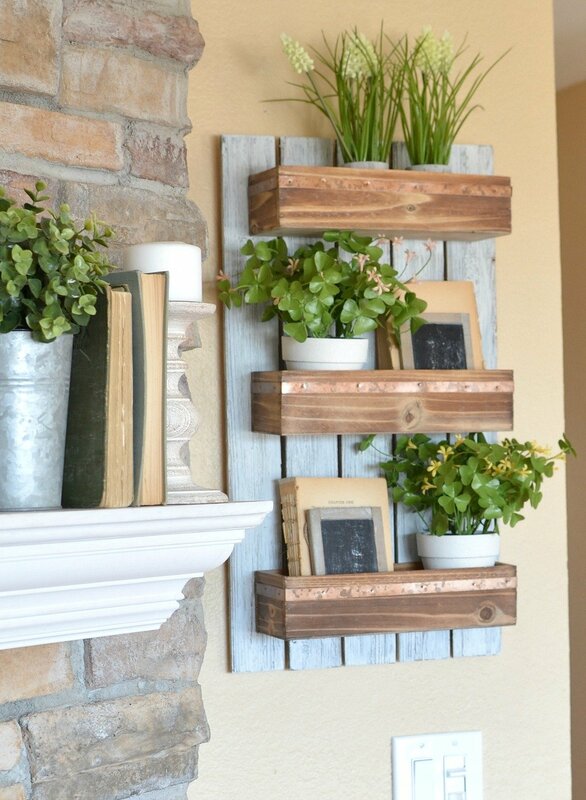 Another fun project to add to my list! Hey, do you know of a good cursive font to use on Word to create a farm house printable? Thanks Deanna! Unfortunately I don’t know of any Word fonts that would be good for a farmhouse printable. I do a lot of my design in PicMonkey and they have some pretty fonts if you upgrade to the paid package. I love this!! 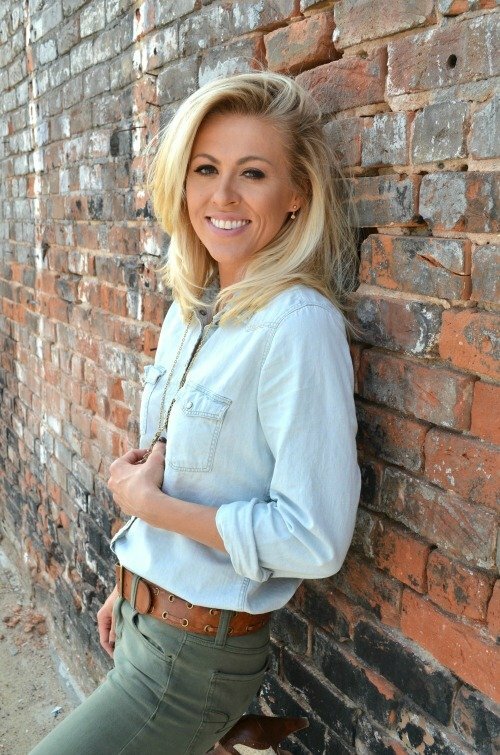 Just discovered your blog and I am spending hours looking at it all! I definitely will try to make this. Thx so much for sharing your talents and creativity!! Aw thank you Michelle, I’m so happy to have you here!! 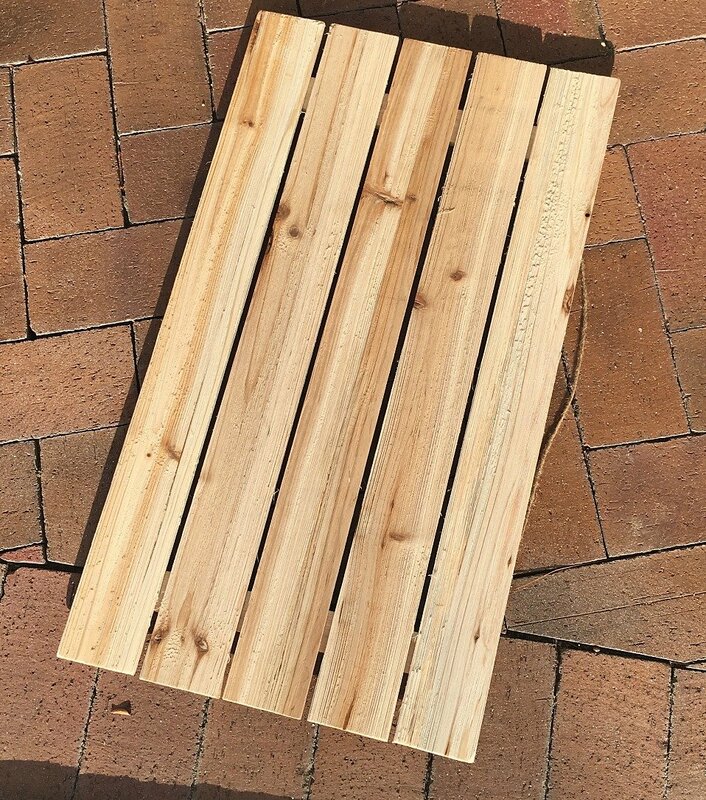 I love that this planter base is attractive, easy to put together from scratch if need be, not too big but has presence. just what I needed for some plants I like to keep in our mud room. Would be nice to get plants off pantry storage cabinet. Since am in here on computer I see plants which reminds me to water them, especially in heat. this is wonderful project for any time of year for any plants. Printing this out for future projects to do. Now to get hubs to make backing then planter boxes, too hot to be working out in heat, might have to wait til it cools down in Fall. We don’t have basement or garage so it’s out side or nowhere to make things. Love this post. my kitchen. I am writing to ask about the fireplace rock. Love the blend of these rock colors. Would you be willing to share where I can find it? I am working on an outside planter.